US troop scheduled to leave Syria will briefly relocate in the Northern part of Iraq, a top officer of the Iraqi army has said. The forces “will withdraw through Erbil, not areas controlled by Iraq’s [Baghdad] central government,” Major General Yahya Rasul said. Last month, US President Donald Trump announced the pullout of all American forces, around 2,000, from Syria. The withdrawal will be done in coordination with Turkey that Trump believed can suitably replace the American forces. Rasul according to reports also added that American forces may return to the U.S. or transfer to other regions after arriving in Erbil without the move undermining Iraqi sovereignty as a permanent presence of troops is not a subject of discussion. 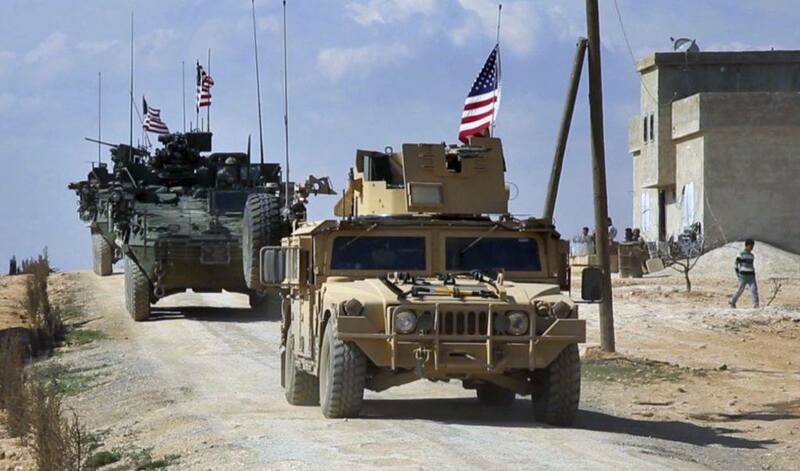 The announcement follow last month revelation by Farhan al-Duleimi, a member of Anbar’s provisional council that the U.S. has established two military bases in near the Syrian border. Al-Duleimi told Turkish state-run news agency Anadolu that that the first base has been set up in the northern Rumanasubdistrict (in Anbar’s Al-Qaim district) near the Syrian border, roughly 360 kilometers west of provincial capital Ramadi. The other military facility, he added, had been erected in the east of the city of Al-Rutbah, about 310 kilometers west of Ramadi and less than 100 kilometers from the Syrian border. There are currently over 5,000 US forces in Iraq down from about 170,000 in 2007, at the height of the surge of U.S. forces to combat sectarian violence that ensued the American invasion to topple former Iraqi leader Saddam Hussein in 2003. President Trump who made a surprise visit to the troops last month said his administration has no plan to return the forces home as part of his “America First” policy. Posted by KanelkaTagba on Jan 3 2019. Filed under Headlines, World News. You can follow any responses to this entry through the RSS 2.0. Both comments and pings are currently closed.